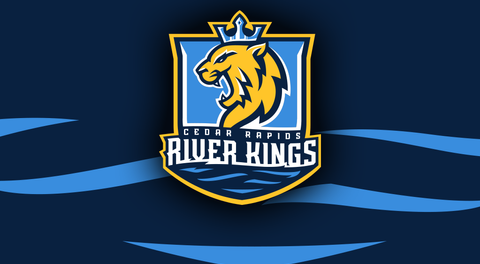 Des Moines - The Cedar Rapids River Kings (1-5) dropped a hard-fought game against the defending IFL champions 5-48. 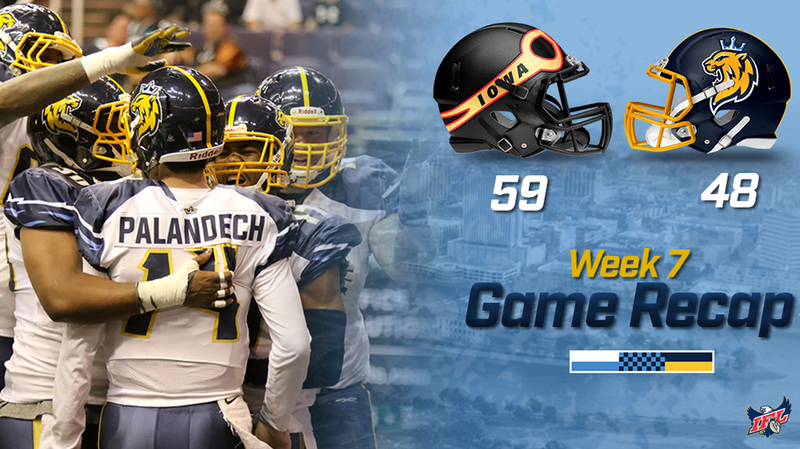 Iowa moves to 5-0 on the year after taking the second of two games against the River Kings. Cedar Rapids had plenty of chances against the Barnstormers, leading 48-46 after a River Kings touchdown by Kalif Phillips, but the Barnstormers scored the games' final 13 points to come away with the win. River Kings quarterback Kurt Palandech was 14-23 for 154 yards and two touchdowns. He also threw two interceptions in the game. Running back Nate Chavious had solid game too, rushing for 65 yards on eight attempts and scoring two touchdowns. Drake White, the newly signed River King, had another good game racking up 50 yards on three receptions and catching two touchdowns. Marquel Wade led the River Kings with four receptions for 51 yards. On defense Malik Slater had eight tackles and added a sack. He had five solo tackles and a tackle and half for loss as well as a pass breakup. The River Kings matched the Barnstormers drive for drive in the first half. Amassing seven first downs to Iowa’s, Cedar Rapids scored on three of their first four possessions, all touchdowns, and only missing a 27 yard filed goal attempt in between. Palandech went 7-11 in the first half with two touchdowns while throwing an interception. Chavious racked up 27 yards on just four attempts and White continued to shine after his strong opening game with the River Kings last week, scoring two touchdowns on three receptions for 50 total yards. The River Kings will be in action next weekend at San Diego. The game against the Strikeforce will kick off at 7:05 PM CDT from the Pechanga Arena.